Jewish text bored me growing up. It seemed finite, immovable, treacherously antiquated and completely incompatible with my Reform Judaism. Its “living”characteristic eluded me, and its text was too verbose to swallow. I preferred to discard text instead of struggling with it. I followed Jewish traditions according to my father’s practice or according to a blurb on the Internet. My adolescent understanding of Judaism was as a guide to living morally; but the texts, particularly those outside of the Tanakh, seemed completely stale to my underdeveloped Jewish palate. That is not to say that my educators, rabbis and peers had not exposed me to text; on the contrary. I was presented texts throughout religious school and confirmation, as well as at camp and NFTY events. Despite all of that, I failed to recognize the relevance of these texts in my life. As I entered HUC-JIR and began my rabbinic studies, my familiarity with rabbinic texts was negligible. I was delving into Mishnah, Talmud and midrash substantially for the first time but brought the biases of my stubborn adolescence with me. However, I was astounded by the depth of conversation these texts stimulated, texts that I so easily dismissed just a few years earlier. Through the study of these texts, I gained a profound insight into Judaism that I did not know I was missing. Contrary to my juvenile discard-if-not-conspicuously-relevant approach, I now understood that taking tradition seriously requires wrestling with the uncomfortable and antiquated teachings instead of ignoring them. Judaism is not a linear connection of events and teachings; irregularities and discrepancies exist, and we need to accept them as our DNA and embrace their challenges. Personally, these texts deepened the roots of my Judaism. Professionally, they taught me that I am responsible to teach Judaism as a whole, the easy and the challenging. My particularly gifted peers and talented professors turned something that bored me into something exciting. My excitement has carried over into my teaching. Through this text, the conversation blossomed. The students not only enhanced their understanding of joy, they wrestled with the meaning of God and mitzvot. Without text, this lesson would be remembered as “the day we listened to Happy in class.”Instead, the text brought Jewish depth to the lesson and made it both educational and meaningful. Text illuminates the routine. 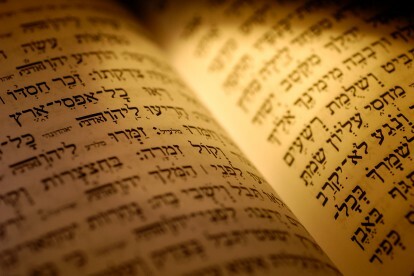 By teaching text, we deepen the roots of our students’Judaism and often enhance their understanding of Jewish ritual. Only text has that kind of power. Alex Kress is a fellow at Kulanu, the Cincinnati Reform Jewish High School, under the mentorship of Rabbi Dave Burstein. Alan Morinis. Everyday Holiness: The Jewish Spiritual Path of Mussar. Boston: Trumpeter, 2007.295-297.